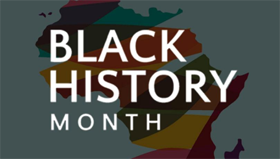 Supported by London Cross Cultural Learner Centre and several other groups, the London Black History Co-ordinating Committee has organized a series of events throughout the month of February to mark Black History Month. Families are the focus of celebrations this year. Are your clients job ready? Finding employment in Canada can be challenging for newcomers. There’s a lot that goes into a job hunt: resumes, cover letters, references, interviews, and more. We’ve come out with a Job Readiness Tool to help newcomers test what they know, and see what they can do better. Are you an immigrant and refugee-serving agency looking for a way to streamline client information? Do you wish you could generate reports quickly and easily, including respond to last-minute changes requested by funders? OCASI’s Client Management System (OCMS) can do all that and more for you. We are better than ever with a move to a new online platform on Microsoft Azure™. 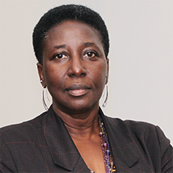 Colour of Poverty - Colour of Change (COP-COC) has submitted a Proposed Framework for a New Anti-Racism Strategy for Canada to the Canadian government's consultations on a new national anti-racism strategy. The submission draws on work by COP-COC over the last ten years and a recent community consultation on an Anti-Racism Strategy for Canada organized by COP-COC. There is a new chat feature, in partnership with 211, coming soon to the OCASI newcomer sites. It is available in both English and French, however, many of the I&R Specialists speak other languages. The Specialists are being trained so they can appropriately refer users back to our newcomer sites for more information specific to their immigration and settlement needs. READY TOUR by FCJ Refugee Centre is a free program for refugee claimants waiting for their refugee hearing. Visit a refugee hearing room and learn what will happen at the hearing, and what will happen if you do not attend your hearing or if it is cancelled. The tour helps claimants to prepare for the hearing and reduce anxiety. Come to this meeting to join participants from across Canada to discuss urgent issues affecting refugees and immigrants in Canada, promote rights for refugees, and share information and strategies. The meeting is open to all, especially CCR members. It is closed to media and government employees. There is no fee and no registration. March 1 or March 2, in Toronto. The Montreal Urban Aboriginal Community Strategy Network has released a toolkit for Indigenous allies by Dakota Swiftwolfe and Leilani Shaw. Available in Englishand French. Réseau pour la stratégie urbaine de la communauté autochtone à Montréal a publié une trousse d’outils pour les allié.e.s autochtones, élaborée par Dakota Swiftwolfe et Leilani Shaw. Disponible en français et en anglais. Immigration, Refugees and Citizenship Canada will soon open Call for Proposals for 2019 settlement and resettlement assistance programs across Canada for the next five years. The process opens on February 8, 2019. Immigration, Réfugiés et Citoyenneté Canada ouvrira bientôt l’Appel de propositions de financement pour les programmes d’établissement et de réinstallation, partout au Canada au cours des 5 prochaines années. Ce processus débutera le 18 février 2019. 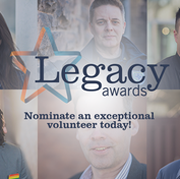 Volunteer Toronto’s 2019 Legacy Awards will formally recognize the passion, commitment, and effort of six volunteer superstars who make Toronto a better place. Nominations are open until February 7th at midnight for any volunteer that has had an extraordinary impact—whether that means making a big difference in a short time, giving back over 20 years, or overcoming personal challenges and barriers.